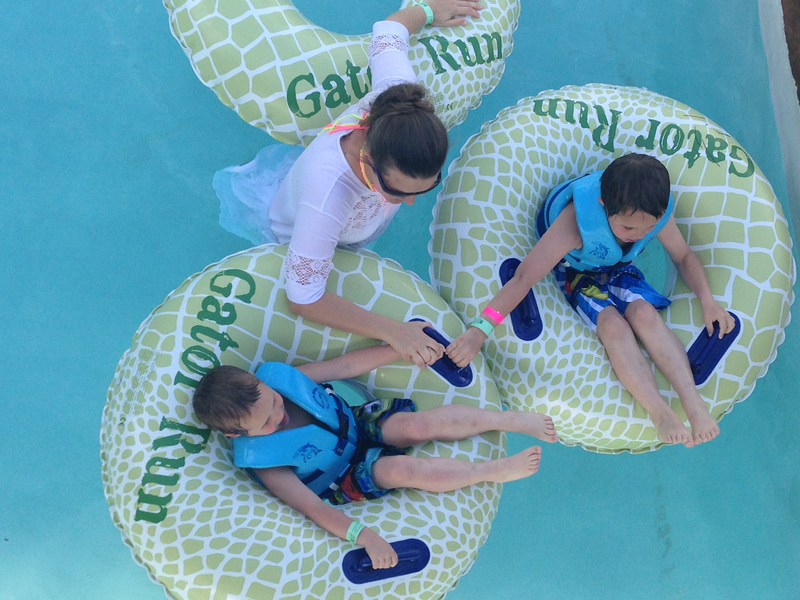 Gator Run lazy river at Cool Zoo in New Orlean's beautiful Audubon Zoo. Hotel rooms are designed for family fun vacations. Will this summer be for mountain hikes and canoeing? Beaches and sandcastles? Shopping, shows and food truck tours? Perfecting your Spanish, celebrating our National Parks? Whatever your pleasure, we know you want to make the most of your time and travel budget. Start your summer vacation planning by sharing ideas and goals with the kids, then listen to theirs. Allow the kids a daily activities allowance so they can be part of the planning. With so many lodging options, from vacation rentals to road trip motels to five-star resorts and B&Bs, there’s something for every wallet. Here are some of the best ideas and activities (some of them shared by our sponsors) that we’ve heard for grandparents, parents, extended family and children of all ages to enjoy a summer getaway together. Whether you’re headed north or south, east or west, it’s a safe bet that a beach stay is part of your summer vacation plans. Here are some favorites that offer plenty of off-the-sand activities for all ages, in addition to clean, safe surf to swim in. And although we never expect any trouble, we buy travel insurance to cover items like expensive plane tickets, the possibility of having to return home to see an ill grandparent, emergency medical and dental bills, even the loss of our son’s iPad. A policy like the Basic Family Plan covers 17 and under free of charge as long as there is one paying adult included, and covers pre-existing conditions like your husband’s bad knee if you buy it within 14 days of departure. You can ignore the cold waves because you never have to get wet in Santa Cruz, just south of San Francisco. The beautiful, big Santa Cruz boardwalk turns 112 this summer, yet its classic midway with turn-of-the-century rides always seem fresh and yes, thrilling. The sprawling Seascape Resort is a good base for active families. Santa Monica is the ideal SOCAL beach destination with easy access for daytrips to Disneyland and Los Angeles. The Santa Monica Pier is famous for its rides, carousel and solar-powered, 130-foot-tall Ferris Wheel. You won’t need a license to fish off the pier for perch, mackerel or white sea bass like the locals, but if you’re using fishing rods for beginners it’s best to walk down to the lower fishing platform on the north side. North, past the romantic seafood restaurants like Gladstone’s, is the public Annenberg Community Beach House, where families can play, swim or take yoga lessons at no charge. At several points in Santa Monica, you can rent a bike or inline skates and go for miles on the bike bath right along the beach, and play volleyball — there are always games going on. To the south, the city of San Diego keeps families busy at its world-class Zoo, SeaWorld, and 15 major museums and entertainment venues at Balboa Park. Even if you’re not traveling with your pet, don’t miss the Coronado Dog Beach near Mission Bay where each summer you can catch the Loews Coronado Bay Surf Dog Competition. The classic Hotel Del Coronado is a popular multigenerational getaway. Stop by to see the memorabilia from “Some Like it Hot” filmed there. On the east coast along the Atlantic Ocean, you have your pick of beach towns from Maine all the way to Florida where you can play on the sand (and often a boardwalk), ride bikes, challenge the kids to a tennis match or hone your golf game. We love the cool breezes of Cape Cod where families can take a sailing lesson, bike ride on the famous Cape Cod Rail Trail, catch a local team baseball game, visit the National Sea Shore and, at the end of the day, savor fresh seafood and homemade ice cream. There are also ferries back to Boston, and between Martha’s Vineyard and Nantucket for more action. You don’t have to be a Springsteen fan to know that New Jersey is summer. Freshly renovated beach cottages along the famous Jersey Shore boardwalks are great value before July 4th and after mid-August. Don’t miss daytrips to the Silverball Pinball Museum in Asbury Park, Ocean City’s Luna Park, Avalon’s mini-golf courses and Wildwood’s dolphin-watching boat tours. 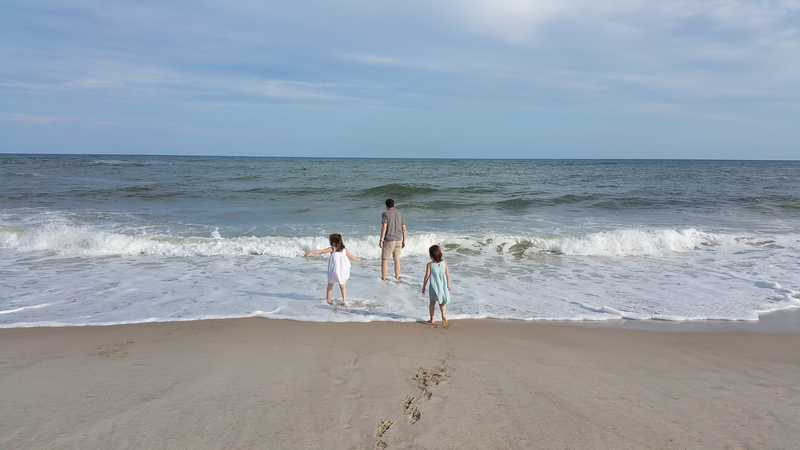 Families love to swim in the warm waters at Myrtle Beach, South Carolina, where lodgings range from budget to luxury. If you’re looking for the best of both worlds, there are many resorts offering Myrtle Beach timeshares which provide luxurious amenities at budget prices. One such resort, the Myrtle Beach Resort, offers convenient on-site access to 750 feet of the sandy shores of the Grand Strand. It also offers free WiFi, a restaurant, tennis courts, and a water-park complete with a 375-foot heated Lazy River, hot tub and children’s pool. Timeshares in Myrtle Beach are the best summer vacation ideas for large families wanting spacious accommodations, as they often boast living rooms, kitchens, and multiple bedrooms. You can find Myrtle Beach timeshare rentals or resales for less by visiting online timeshare marketplaces like SellMyTimeshareNow.com. Myrtle Beach’s Grand Strand runs along a beautiful Atlantic beach and offers so much entertainment, a lot of it weatherproof. The local theme park, Carowinds, has redone its toddlers section with a new Camp Snoopy, including a teacup ride, gently swirling coaster and lots more Peanuts-themed fun. Teens will appreciate the new 810 bowling alley, and everyone in the family will enjoy the many new restaurants opening for summer. Go on vacation and leave your wallet at home when you stay at a Club Med. Stay, eat, and play on land and in the water for one price at the world’s leading all-inclusive resort. Choose from 65 Club Meds around the world or pick Club Med Sandpiper Bay in Florida. Activities include tennis, golf, beach volleyball, a fitness academy and a circus school with flying trapeze. There is a separate kid’s pool and aquapark. As at all of their resorts, the kid’s club is phenomenal, so while your kids are happily at play, mom and dad can enjoy some time alone. Club Med Sandpiper Bay even offers a Baby Club for 4-23-month-olds and a Petit Club for “2-3-year-olds (for a fee), plus age-appropriate clubs for older kids from 4 to 17-year-olds (included). And, great news – kids under 4 stay free. Doesn’t blazing August heat make you dream of cool breezes? Mountain townies joke they came to a ski town for the slopes and stayed because of the gorgeous summer weather. Look for summer deals across the country at ski resorts from Maine to Colorado, Utah and California. Once the snow melts and the temperatures rise, you can enjoy hiking and biking on the slopes of Keystone Resort. At almost 10,000 feet, and with average temperature around 70 degrees, conditions are perfect for a cool summer holiday. Depending on the size of your group, choose from a studio condo to a four-bedroom townhome so you can save money on breakfast, and have somewhere to dry those bathing suits. Learn how to bike downhill on 100 miles of lift-serviced singletrack mountain biking terrain, or try stand-up paddle boarding on Keystone Lake. Keystone also offers two golf courses. The complimentary Kidtopia program brings kids and parent together for fun nature hikes, games, kite workshops and more. On Friday evenings there are free live concerts, a perfect way to celebrate a Rocky Mountain high vacation. Families flock to the awesome White Mountains of New Hampshire to enjoy swimming in clear mountain lakes, biking in Mt. Washington National Park, hiking in the Franconia Notch State Park and playing at Santa’s Village, a Christmas-themed amusement and water park. Climb to the top of Mt. Washington, the highest peak in the northeast by driving the Mt. Washington Auto Road or taking the Mt. Washington Cog Railway up the mountain. Happy 102nd Birthday to our National Parks Service. While Congress named Yellowstone our first National Park in 1872, President Woodrow Wilson created the National Park Service in 1916 to protect the 35 parks and monuments that had been established until that point, and those that were to come in the future. Now overseeing 400 National Parks in addition to Military Parks, National Monuments, National Parkways and Seashores, and Urban Parks, the NPS welcomed more than 300 million visitors in 2017. Our Top 10 National Parks for Family Vacations will give you information on a range of parks from the east to the west coasts. At all of the national parks and monuments, park rangers help you make the most of your time with special activities, including the Junior Ranger and recreation programs. If your family enjoys the outdoors, learn more about how America’s land is managed by farmers and ranchers on a genuine Western dude ranch experience. Of course, you’ll also get tips on roping and horseback riding, great ranch to table home cooking, and friendly interaction with authentic wranglers and ranchers to better understand Western culture. What a fun way to learn. The Dude Ranchers Association helps you select the best ranch for your family’s ages and interests. For a different kind of overland adventure, consider renting an RV for the whole family. The high cost of fuel is offset by hotel savings — and bonding on wheels is its own unique treat. Whether you’re heading out on one of our top 10 family road trips or driving to the grandparents, we recommend that anyone with preschoolers drives during morning and afternoon nap hours, plays at lunch and rest stops, and sets daily mileage goals before departure. With older children your route can be more serendipitous (filled with missed exits and unusual must-stop roadside attractions), but make sure they select some off-the-highway activities each day just for them. Download our backseat car games cheat sheet to make the time fly by for everyone. Always a fun city, this summer Toronto is also a bargain. Thanks to a strong U.S. dollar, the city’s varied offerings will be easy on the budget – in other words, more fun for less. The south west region of England, not far from London, welcomes visitors with a variety of places to experience. Bristol is a port city built upon a seafaring heritage which is still celebrated today. It is also a cutting edge urban environment featuring a strong music scene, street art, music, film, theatre and dance. Bath, located in the Cotswolds, is a charming and historic city known for “taking the waters” and is perfect for a restorative vacation. Introduce the environment and healthy eating in a hands-on way with an agritourism or farm stay vacation. Farm vacations are cheap and popular in Europe, where so much dining is naturally farm-to-table. More North American working farms are supplementing their crop income with overnight lodging, meals and a peek into a farmer’s lifestyle. School age kids will love joining in as cows are milked, eggs are collected fresh from the hen house, and carrots are pulled from the ground. Go to our directory of farm stays and choose your pick of working farms and ranches across the U.S. (in all 50 states and U.S. Territories). City breaks offer value summer vacations packed with art, interesting dining options and great shopping because there are so many free activities and cheap hotel rates on weekends. No need to wait till kids get older; we know even your super smart preschoolers can enjoy an urban getaway as long as you don’t plan too much each day. It wouldn’t be summer without thousands of teachers and parents planning educational visits to the nation’s capital. But Washington DC is much more than government, especially in this season’s hot, humid lazy days when downtown is abuzz with tech startups and millennial loft dwellings. This top-value city plans weekly festivals and street fairs, and the dozens of free monuments and 19 no-charge Smithsonian museums (we love the kids’ website) mean there’s never a bad time to visit. The engaging Visitors Centers at the White House and Capitol mean you won’t have to plan ahead or wait in line to see the real thing… the behind-the-scenes exhibits are more revealing than being in the actual building. You may have to book ahead, however, to see the remarkable collection of personal Lincoln artifacts at The Ford Theatre, site of President Lincoln’s assassination by leading man John Wilkes Booth. Tickets for National Park Service properties can be obtained in advance from Recreation.gov. Even the John F. Kennedy Center for the Performing Arts has free daily performances. — at 6 p.m. on the Millennium Stage. Read more about what’s on in other great cities . All travel is educational, and that’s why we support the annual Teen Travel Writing Scholarship, a merit competition in which ages 13-18 share their travel blogs to win cash grants for school. So, please make sure they keep a journal of their adventures. There are cool museums in small towns, where you can look at old mummies, study the chemistry of photography, or get close to dinosaurs. Other museums are devoted to a sport like the Baseball Hall of Fame celebrating more than 75 years in Cooperstown, New York; the Naismith Memorial Basketball Hall of Fame in Springfield, Massachusetts; or the Hockey Hall of Fame in Toronto, Ontario. Our family has flipped for a few museums: the Rock & Roll Hall of Fame in Cleveland, Ohio and, on one rainy Washington DC day, the great Newseum devoted to the history of journalism. Children with special learning needs or disabilities and their families have many recreational options, from horseback riding to kayaking to cycling, in summer. Autism on the Seas helps arrange vacations on land and sea for families with someone on the autism spectrum. In Orlando, Give Kids the World welcomes kids suffering from life-threatening illness and their families to take a break from treatment, hospitals and doctors and just enjoy themselves for a week. In partnership with Universal Orlando, they also offer half-day volunteer opportunities for more fortunate families visiting the Orlando area. You will learn so much by doing on a volunteer vacation, especially if the kids are older. Established organizations like Cross-Cultural Solutions, Earthwatch, and Global Citizens Network among other non-profit organizations help you find a family volunteer opportunity. Many of G Adventures family trips include volunteer activities to sustain the communities at the destinations visited. With major cruise lines now departing from 24 homeports, the majority of Americans can be at a cruise terminal with just one day of driving, bringing this already great value vacation into the reach of many more families. This is one industry seeing more than 50% of guests sailing with a group, mostly multigenerational and extended families who appreciate that there are fun new experiences for all ages on these floating resorts. Check out our 2018 Guide to the Top Family Cruises to see which line might be best for your family and, remember, since there are no lifeguards on duty at waterplay areas, you’ll have to keep an extra vigilant eye on the kids. Since you’ll have to prepay the cruise, this is another type of vacation where getting travel insurance is highly recommended. If you are looking for something different from the large ship experience, and a bit of adventure as well, take a look at AdventureSmith Explorations for inspiration. In their small-capacity, adventure-oriented yachts and expedition vessels, your family can explore Alaska, Costa Rica, the Galapagos Islands, the Amazon and other family-friendly destinations. Off-ship activities include activities not associated with mainstream cruising such as hiking, sea kayaking and exploring the remote wilderness. This summer welcomes the Santa Cruz II, a new ship in the Galapagos Islands, with many interconnecting cabins – perfect for families. Features include riding zodiacs, snorkeling with sea lions and penguins and hiking among land and marine iguanas. We love the less busy themeparks in summer. Base your family at an Anaheim hotel with its fun pools and family amenities, and spend a few days to explore the whole region. Locals say you’re missing a lot if you skip Knott’s Berry Farm with its roller coasters (including the family Coast Rider), Camp Snoopy for younger kids and Boardwalk family attractions. Teens especially love Magic Mountain — one of the first Six Flags parks with some of the fastest, tallest rides in the country, just outside Los Angeles. Money-saving ideas for themepark vacations are always welcome. When you buy a Southern California CityPASS, you save nearly 30% of the price of a prepaid 3-day Disneyland Resort Park Hopper ticket that allows unlimited back-and-forth access to Disneyland Park and Disney California Adventure Park, plus one-day admission to Legoland California and SeaWorld San Diego. The pass is valid for 14-days. Not headed to SoCal this summer? What about Atlanta, Boston, Chicago, Dallas, Houston, New York City, Philadelphia, San Francisco, Seattle, Tampa Bay or Toronto? Check out the CityPASS booklet to these other destinations for discounts at all of their top attractions. Orlando and central Florida, themepark kingdom, are never at a loss for news. It may not have won the Best Animated Film Academy Award, but the “awesome” Lego Movie convinced our clan to visit these fun, interactive parks again. Active duty military get in free to LEGOLAND Florida, where Duplo Valley designed for little Duplo fans has been a big hit, along with over 50 rides, shows and attractions. If outer space seems more real than the themeparks, the Space Shuttle Atlantis at the Kennedy Space Center is an easy drive from Orlando and well worth the effort to see. There are more than 30 rocket launches scheduled for the NASA facility this year, where non-governmental enterprises like Space X are testing the next generation of space vehicles. Share more ideas with us in the Comments Field! For summer vacation St John in USVI is an excellent place to visit. St. John is a true gem in the Caribbean with crystal clear waters, lush green mountains and gorgeous white sand beaches. Though it is the smallest of the three U.S. Virgin Islands, St. John’s unspoiled beauty is perhaps the greatest found anywhere in the Caribbean. Sixty percent of the island is national park land, creating the illusion that you are as far from civilization as possible. However, fine shopping such as upscale jewelry stores and boutiques are just a short distance away. Boating is also a popular activity for visitors of the islands. Rent a boat and island hop to neighboring islands and cays or enjoy a day of snorkeling, swimming, picnicking and relaxing aboard one of many day sail charter boats. Great vacation ideas and post too..!! !